The ‘Night Garden’ lingerie collection by Evgenia offered a modern interpretation of classic 1930s silhouettes. The garments were hand made in San Francisco by designer Stephanie Bodnar. The bralet shape is based on the Kestos bra shape, with contemporary additions of adjustable shoulder straps, elastication at the neckline and underarm, and adjustable buttonhole elastic fastenings. These amendments offer more adjustability of fit and comfort than the original Kestos bra design. 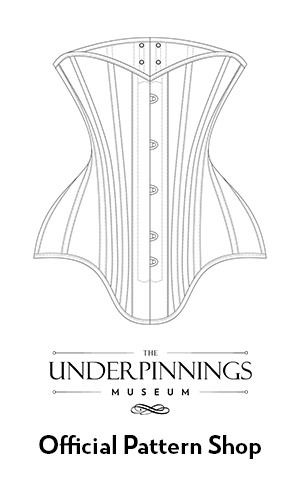 The cups are created of a star motif, machine-embroidered tulle, with satin ribbon shoulder straps, black enamelled adjusters, and grosgrain elastic trim. The tap pants use a yoked pattern, with a fitted waist and flared legs in a floral printed crepe-de-chine. They fasten at the left side seam with buttons and elastic loops. 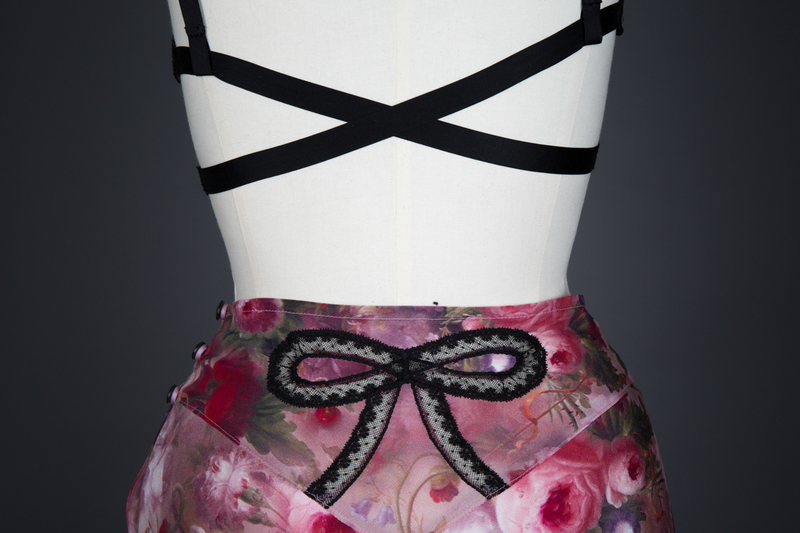 The back yoke of the tap pants is embellished with black valenciennes lace trim appliqué, shaped into a bow motif. 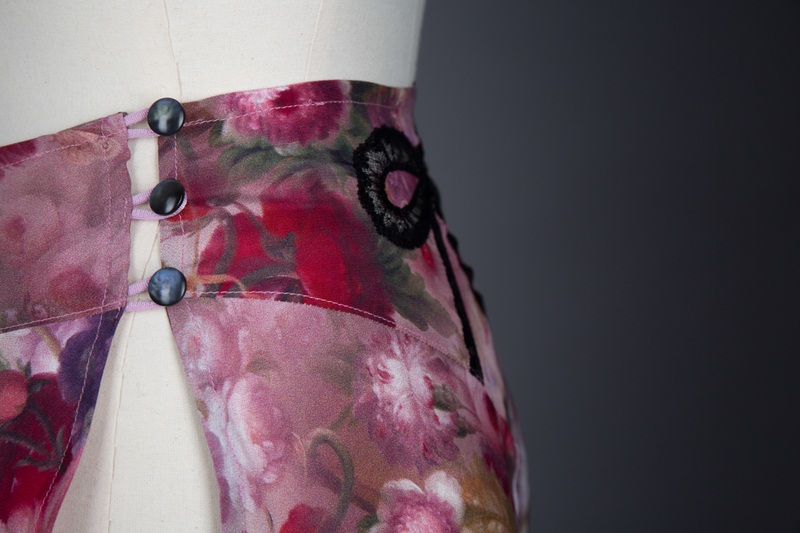 This time consuming embellishment technique was particularly popular in the early 20th century. The Evgenia brand began in 2011 under the name ‘Honey Cooler Handmade’, initially specialising in one-of-a-kind lingeire pieces that utilised the technique of insertion lace appliqué. After rebranding as Evgenia, the label continued with its lace appliqué techniques in full collections rather than individual garments. Designer Stephanie Bodnar studied Fashion Design at the Fashion Institute of Design & Merchandising in California, USA. She was a designer in residence at the Fashion Incubator program at Macy’s Union Square in San Francisco from 2014-15, and is now based in a studio in West Marin.